Rustic car themed baptism set, made in earthly tones with burlap and beige fabric. 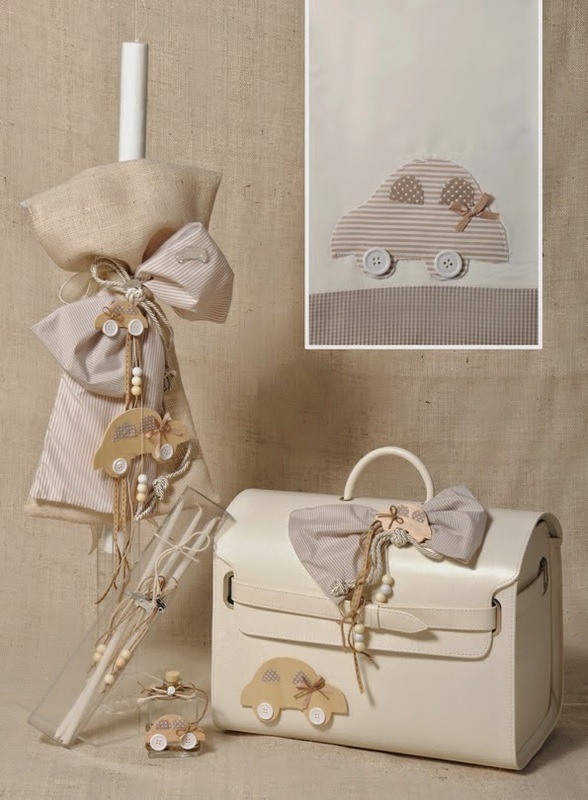 Wooden cars, twine and beads decorate this amazing set for your little boy's christening. Includes the lampada, ladopana (chrisoms), suitcase, three candles, soap, oil bottle underwear and towels. https://www.preciousandpretty.com/2015/03/greek-car-themed-baptism-set-sae116.html Greek Wedding Favors|Orthodox Crowns|Stefana|Baptism Invitations Greek car themed baptism set SAE116 Greek rustic car themed baptism set for boy Product #: Greek Wedding Favors|Orthodox Crowns|Stefana|Baptism Invitations_8455230348432791202 5 stars out of 5 reviews.